What are you doing right now to promote yourself? In today’s era of “search before you buy” personal SEO can mean the difference between getting hired or overlooked. Let’s quickly define ‘Personal SEO’ so we’re all on the same page. 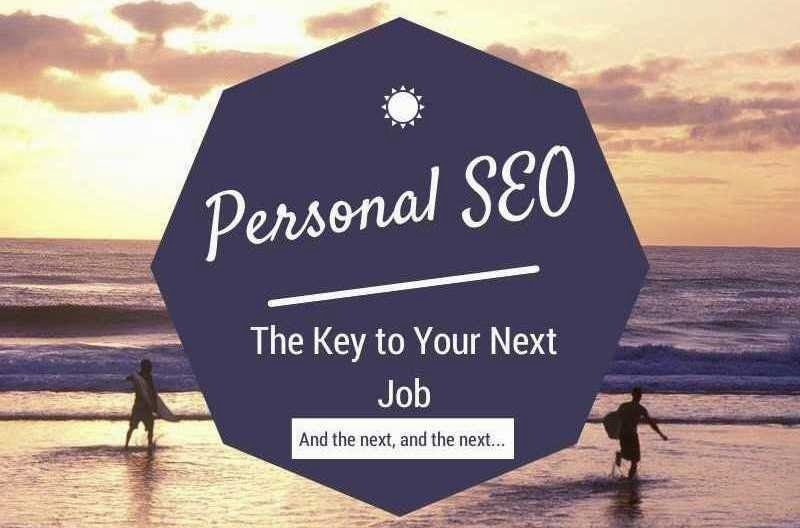 Personal SEO typically refers to your personal profiles climbing in external search rankings ­­like from a Google or Yahoo search ­­but the term also includes the chances of your face appearing in results within a specific website. OK, so a profile isn’t enough anymore. You’ve got to work harder to get the attention of employers. But don’t despair just yet! The good news is that you can distinguish yourself online from your competitors just by writing about what you know best, and what will serve your users the most. According to Google’s SEO Optimization Guide, “Creating compelling and useful content” is the most important factor in determining SEO. So get writing, and watch your personal SEO launch into the cyber stratosphere. If you’re racking your brain for blog ideas, no need to sweat it. For a good starting point, simply begin with sharing some small snip­its of your work experience. Note your methods and strategies during your day and soon you will have quality material on your hands. Thread your notes together, and include illustrative screen­shots to hammer in your points. There is a great deal of advice available online about crafting the perfect blog­­ like this or this. So now that you’ve written some top-­notch content, what do you do with it? Which websites will maximize the potential of your writing and get you noticed? One of the biggest players in the game, Social Media Examiner is a great location to get seen. Some of the hottest names in social media publish here because they know their articles will get strong engagement from readers. An example article from SME. Notice the number of retweets! Getting ready to hit “publish”? Not so fast. Social Media Examiner has stringent publication requirements. Every aspiring content provider must fill out an application including writing samples and past qualifications. You must prove yourself before getting exposure of this magnitude. ü Other Goodies: In exchange for your email SME will send you their industry report complete with data and charts chronicling the efforts of over 3,000 marketers. This report can help you focus your marketing efforts for your next job. SME also offers a myriad of podcasts, videos, and workshops to take your marketing acumen to the next level. Grow digital is a marketplace where businesses looking to boost their online presence are matched with digital marketers. Grow is using a creative system for overcoming the issues of trust between freelancers and employers on bigger sites­­they are giving freelancers the option of publishing original content on their platform. Freelance marketers make a profile on Grow, and then use their writing to bolster their reputation and show off their expertise. The two portals on Grow­­one for SMBs and one for freelance digital marketers. 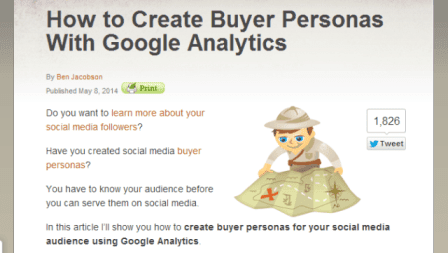 Personal SEO on Grow Digital means more than just views and shares. Every article you publish here will boost your matching score and improve your reputation; both translating to better chances of getting hired by employers. Your articles are a direct link to your next job. ü Other Goodies: Aside from being the only marketplace on the list, Grow also has some nifty free tools for analyzing social media engagement. These tools attract employers and get more professional eyeballs on your profile. Another internet marketing mainstay, Social Media Today’s main feed interface is similar to that of Social Media Examiner and Digital Marketer. Publishing in Social Media Today practically guarantees thousands of reads and hundreds of shares. The SMT interface allows you to browse articles by network, types of marketing, etc. so you can narrow in on the expert advice in your area. The dashboard for SMT. Well­organized, while including many informative links to follow. Like other blog giants, Social Media Today puts writers through the gamut before they can publish. They receive thousands upon thousands of articles to sort through, so they must be careful about who and what they choose to publish. This selectivity brings up the quality of the blog so the readers are always getting first rate information. ü Other Goodies: SMT has a Social Book Club program designed to bring their users closer to their favorite authors and influencers. Digital Marketer provides consistently helpful blogs in a straight­forward feed. Although not quite at the level of engagement of Social Media Examiner or Social Media Today, Digital Marketer still packs a punch. A solid post can ensure you hundreds of ‘Likes’ and shares, and an eye­grabbing headline might reel in thousands. If you manage to have your work accepted, you can look forward to seeing your blog pass through the top of their well­trafficked blog feed. The images in the feed are prominent, so choose your pictures carefully. You would do well to have your writing associated with this high profile blog. ü Other Goodies: Digital Marketer has a handful of premium guides available for download for a small price. In February the job networking giant announced they are offering a content publishing platform of their own. Their metrics give content creators a sense of how many people in their network read their article, and what demographic they’re from. Adding content will really beef up your LinkedIn profile, giving your work experience a sense of legitimacy. Although there are close to 300 million users on LinkedIn, this is no guarantee your article will make the rounds. LinkedIn uses a content feed algorithm similar to Facebook­­if people ‘like’ and share, your article will spread, and your personal (internal) SEO will increase. If you don’t get engagement, your article will gather digital dust. ü Other Goodies: With LinkedIn, you already know you’re getting the largest employment network in the world. Publishing content will get you that much closer to search results from HR professionals and recruiters. I hope you enjoyed this article. Feel free to share this post on social media and share your view about this article with us via comments.